You probably found our website because you want a stump removed from your yard? Not all tree service companies in Clarksville TN will remove the stump after removing the tree. Most companies will offer stump removal services but it comes at an extra cost. Be sure you ask about stump removal. Stump removal requires additional equipment such as a stump grinding machine. Many tree companies have grinders available to them, or they can refer you to another company that focuses specifically on removing stumps. 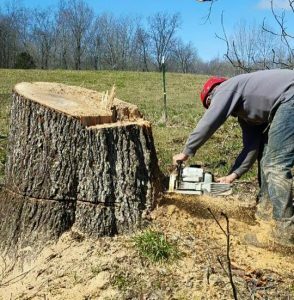 At Heisinger Tree Service we can removal stumps for all jobs that are within Clarksville TN. Our company has been removing trees for years and we know that part of that process is also to remove the stump that is left over. Are There Reasons For Not Removing A Stump? One of the reasons why people do not want to remove the stump is cost. At Heisinger Tree Service we believe that stump removal should be affordable. If you are going to spend the money to remove the tree, do not ruin your yard with the left over stump. Give us a call if you have questions about our stump grinding processes and how much it would cost to have your stumps removed. Some people think that the stump will eventually just rot away. Its true that over decades your stump will eventually be completely rotted away. Another reason why some people want to keep their stump is for decorative purposes. Most all stump can be effectively removed by grinding. Larger stump will obviously take more time and effort but with our grinding equipment we can get the stump ground down below the surface of your yard. Our special machine is placed over the top of the stump which then grinds it down into little pieces. We grind stumps down below the surface of your yard so you never notice it. Over time the roots and other wooden parts of the tree that were left underground will rot. Our stump removal process is one of the best alternatives, rather than using harsh chemicals. What you can expect after your stump has been removed is that we will smooth out the area as best as we can. You may need to have some top soil brought in as well as grass seed to completely cover over the dirt patch. 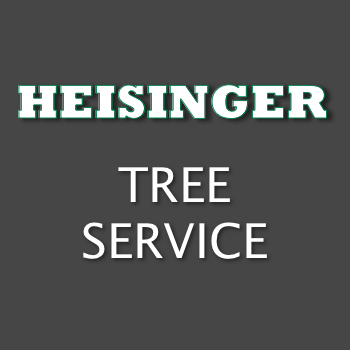 If you choose Heisinger Tree Service for stump removal in Clarksville TN, we will gladly give you a free estimate as well as answer any questions you may have. Give us a call today (931) 444-7832 if you need stump removal in Clarksville.